In medium saute pan over medium heat, add 1 tablespoon oil. Add ginger with shallot, and saute for 2 to 3 minutes. Add garlic and cook for 1 minute or until it turns light brown; quickly add soy sauce, chili sauce, rice wine vinegar, hoisin, mirin, sesame oil and cilantro. 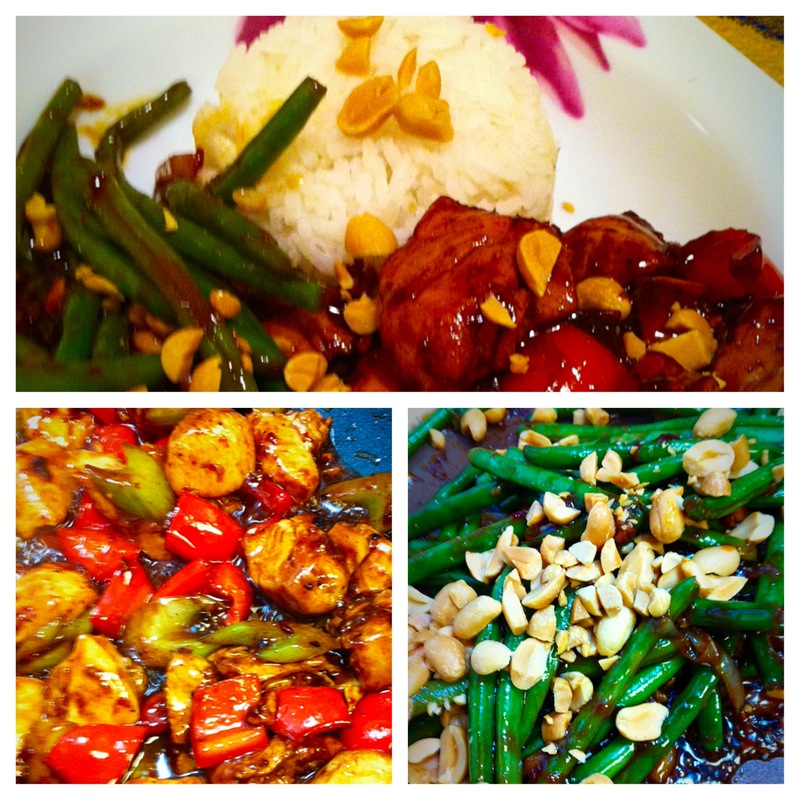 Serve with Kung Pao chicken – fabulously delicious. 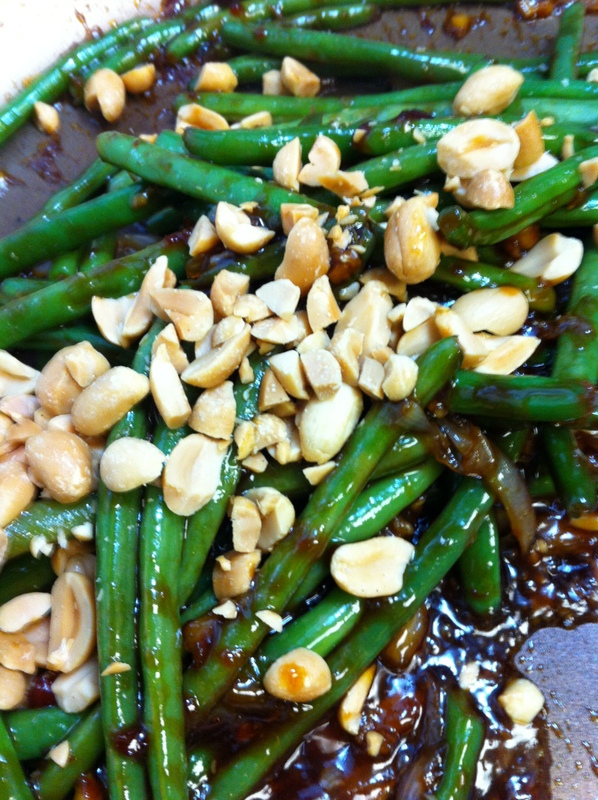 This entry was posted in Asian, Recipes and tagged asian, chinese, Kung Pao chicken, szechuan, szechuan green beans by Chatty Kathy. Bookmark the permalink.